Economic Institute President Micah Weinberg, Ph.D. and Hoover Institution research fellow Lanhee J. Chen, Ph.D. co-authored an op-ed appearing on the New York Times September 19th, 2017. The piece titled “The Sanders Single-Payer Plan Is No Miracle Cure” underlines the marginal number of successful universal healthcare systems globally exposing their issues to control costs and to provide better care than systems that include private-sector insurers. The piece also examines the potential inefficiencies of Senator Sanders’ proposed single-payer healthcare bill compared to similar systems in developed nations. 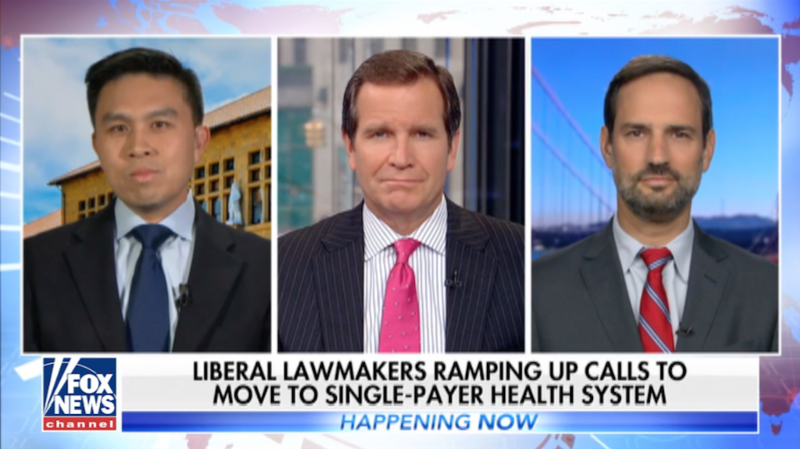 In a bipartisan effort to further expose the potential inefficiencies of addressing the current complexity and concerns of healthcare in the United States with Senator Sanders’ proposal, Dr. Weinberg and Dr. Chen appeared on a segment on Fox News on September 20th, 2017. Dr. Weinberg and Dr. Chen propose a German-style insurance system as a simple, single private insurance market solution for users where insurers are regulated to produce impactful health services. Dr. Weinberg emphasized that while the single payer bill is not the answer for the issues the nation has in regards to healthcare, the proposed Graham-Cassidy healthcare bill will generate a series of difficulties for businesses employing Americans across different states.